Most of us need support at one time or another; counselling can help as it provides a safe space for you to explore your thoughts, feelings, and behaviour. It is very beneficial to talk with a trained counsellor who will listen and not judge you. Uncomfortable feelings or emotions are sometimes an invitation for us to look more deeply at ourselves and integrate their message into our everyday lives. The counselling I offer is a confidential service. Counselling is regulated by the British Association for Counselling & Psychotherapy (B.A.C.P) - I am a registered member of this organisation and also on the Professional Standards Authority Accredited Register for approved therapists. I believe that you are the expert on you and that counselling can assist you to find hidden resources which will help you move forward. I work in a respectful, professional and empowering manner. 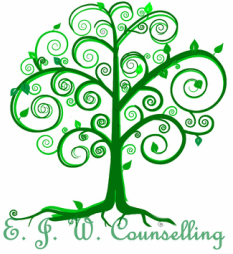 I sensitively work at your own pace and toward what you want from counselling. As an integrated counsellor, the Person-Centred approach is at the core of my practice, although I may combine harmonious elements from Transactional Analysis, Gestalt, Cognitive Behavioural Therapy and Egan's Skilled Helper framework to further our work. Every person is an individual with their own unique life experiences and integrative therapy allows for greater options to fit your needs.